In a small township called Dlamini in Soweto, where bicycles are the epitome of cool, a spark lights up in the eyes of Mpumelelo Mtintso, 29. Mtintso’s first business venture was a marketing company he opened in 2013, just after graduating from college. He then went on to start a bicycle tour company with his brother-in-law before venturing out to start his own bicycle tour company. Through his unique bicycle tour packages, he aims to promote a healthier lifestyle and the importance of literacy among children in his community. He said it was the perfect choice for him because he always loved meeting new people and exploring new cultures. 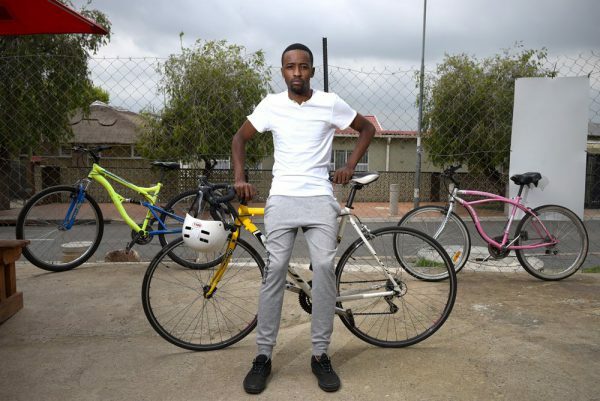 After a few years of working with his brother-in-law, he decided to start up his own tour bicycle company, Book Ibhoni, on the famous Vilakazi street in Soweto. His ideas included offering discounted bicycle tours in exchange for books, which he would donate to libraries and schools in his community. The book component of his business materialised when he observed his peers participating in the #FeesMustFall campaign in 2015. Although he wasn’t a tertiary student at the time, he felt that the struggle also related to him. In his years of growing up in Dlamini, he went to a number of township schools and says it exposed him to the low literacy levels in schools and prompted him to want to make a difference. “Given where we come from, everyone preaches that education is power and key to the future, but yet no one is doing anything about it. You say knowledge is power, but you are not willing to share yours with the next person. It was then that he decided he would create a unique package for his clients that no one else in Vilakazi Street was offering: an exciting tour that included hiking, beer tasting and more. He said he has formed good relationships with the businesses in the area that allow him to do this. He also organises events where he engages with the children of the community and reads books to them. “I’m the only guy in Orlando that is doing this – and this is specifically aimed at the locals to learn more about our community,” he says. He held his last community outreach event on his birthday in September, with a fun day at a children’s home in Orlando West. Mtintso and his friends donated the books they had collected and also clothes and nonperishable food. He estimates that about 80 to 100 children were in attendance. They also read books with the children and organised outdoor games for them to play. Mtintso says the impact the event made on him was immense as it showed that his initiative and company was making a difference in his community. He would like to start up his own NGO in Orange Farm, where children can go to for assistance with their homework. “The main goal for the NGO is to upgrade the skills of the kids, especially reading skills,” says Mtintso. While he is happy to inspire the youth in his area and promote literacy and education, it hasn’t come easy. Bryan Tracy’s “Kiss the Frog” is by far one of his favourite books. He says its balance between motivational tips and business inspired him to start up something of his own. 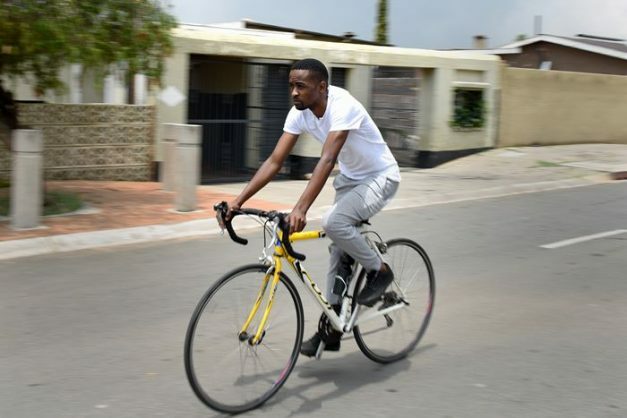 But for now, he runs his bicycle tour company on a daily basis and offers a package for R450. It includes a walking and bicycle tour around Orlando West, wall climbing, beer tasting and hiking. “We accommodate everyone!” he says.